Ms. Daniela Bas was appointed Director of DESA’s Division For Inclusive Social Development on 9 May 2011. A politologist specialized in international politics, human rights and social development, Ms. Bas has most recently served as Senior Consultant designated by the Italian Ministry of Foreign Affairs as expert on human rights to Institutes that operate internationally. She has also provided her expertise on anti-discrimination issues at the Presidency of the Council of Ministers. Ms. Bas has worked for close to 10 years for the UN as a Professional Officer in social development and human rights, traveling around the world on behalf of the UN and also as a speaker at international conventions. She has also held a number of other significant assignments including as Special Adviser on “Fundamental Rights” for the former Vice President of the European Commission; as the Italian representative designated by the Presidency of the Council of Ministers on the topic “Tourism for All” to the European Commission; and as journalist and broadcaster for Italian Radio and TV. Ms. Bas is a Board Member of the EU Agency for Fundamental Rights and of the Committee to Promote non-Armed and non-Violent Civil Defense of the Presidency of the Council of Ministers. 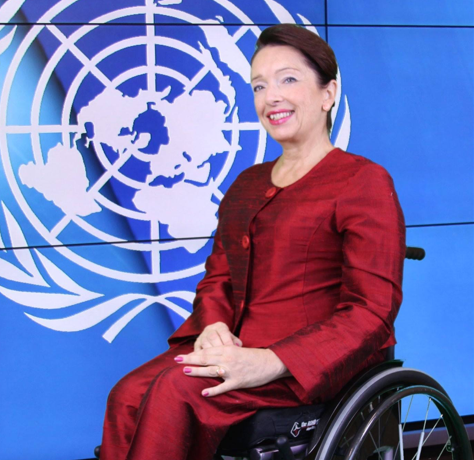 She graduated in Political Science in 1985, with a major in International Politics and wrote a dissertation on ”The elimination of architectural barriers and the employment of people with physical disabilities”.